As the Minister of Propaganda, Vlad’s had it all. Buying himself extravagant presents was something he truly enjoyed, but his favorite was floating on his 100-foot yacht all winter, hoisting champagne with his companions. When the call came to return to the capital, Vlad knew he had no choice. The dictator had no sense of humor or patience. He had 100-foot posters of his grave mug everywhere. Following orders, Vlad arrived at the dark, greasy clinic. “Mr. Aminov, we’ve been expecting you,” said a pinched face nurse. He sat on the table. Picture is copyright by Josh Mosey. 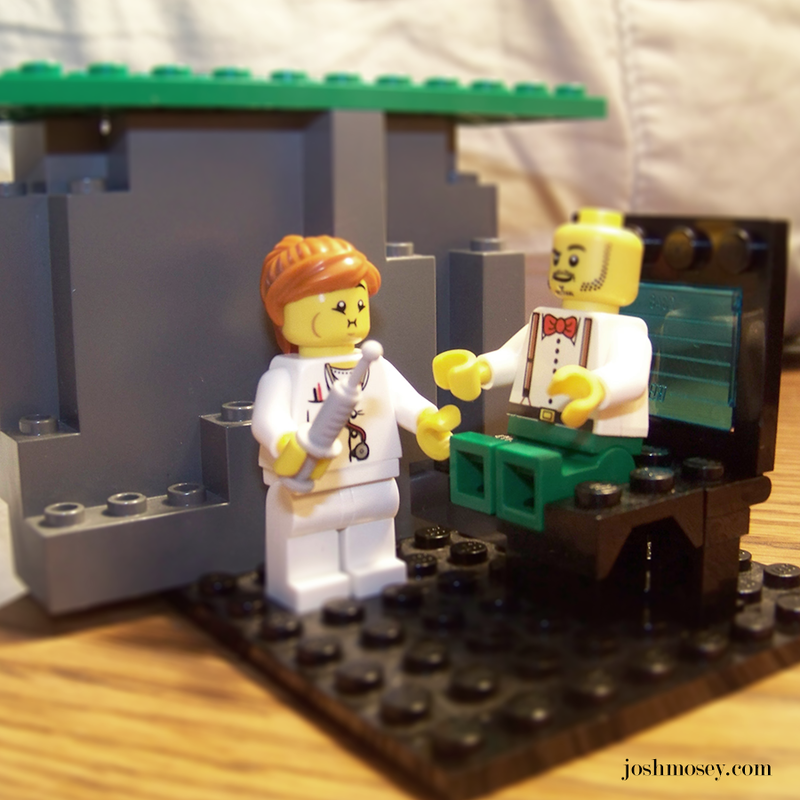 This entry was posted in Drabble and tagged Big Needle, Fiction, Lego, Nurse, Prompt by greyzr. Bookmark the permalink.